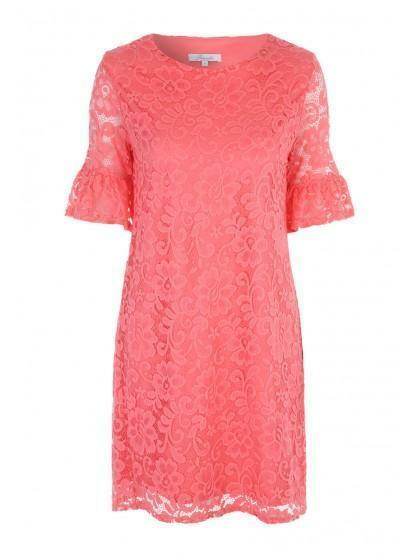 Get ready for the occasion season with this women's coral lace dress. 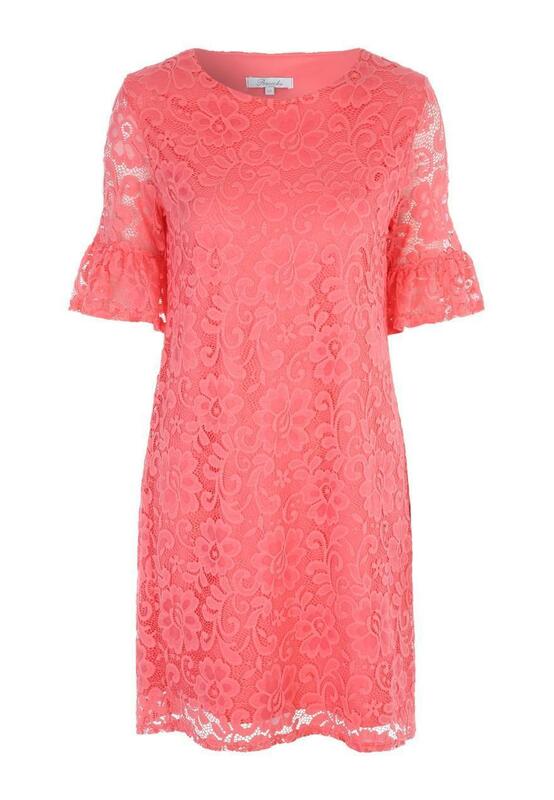 With a fluted detail on the sleeves, a crew neck design, and a mid length this is ideal for weddings, christenings or a day out during the summer! Team with some of our occasion wear accessories to complete the look!